In an official complaint to the Supreme Judicial Council, lawyer Taha Abdel Galil accused senior judge Nagy Shehata of breaking the law by expressing personal opinions of defendants in cases he is ruling in. In an interview with Al-Watan newspaper, the judge expressed feelings of loathing and hostility towards the January 25 revolution, calling it a loss, and towards various parties and icons that had participated in the revolution, from Islamic to leftist to socialist groups, the Saturday complaint stated. Shehata, who was one of the judges responsible for forging the 2005 parliamentary elections in favor of the former ruling National Democratic Party, also defamed certain media personnel and politicians, while praising others, the complaint added. “I am a lawyer who cares for justice” Abdel Galil said. 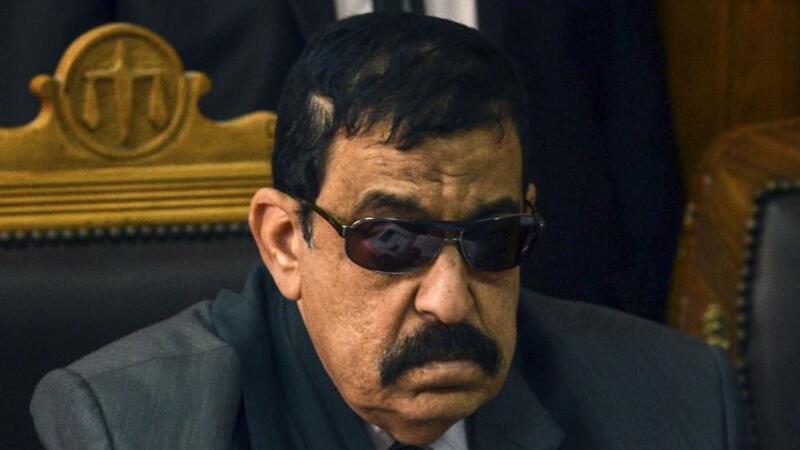 Shehata, nicknamed “the executions judge,” was mandated with heading one of six special judiciary circuits dedicated to terrorism and violent crimes formed in December 2013. He handed down 188 death sentences on accusations of killing 11 policemen in an attack on Kerdasa’s police station in August 2013. The judge also sentenced the three Al Jazeera English journalists to seven years in jail, who were later set free, with an extra three for the Egyptian defendant for possession of a bullet casing. In a case dubbed “the Cabinet Clashes” case, Shehata gave activist Ahmed Douma and 229 other defendants a life imprisonment sentence, while 39 minors received 10-year prison sentences in February. The accused were arrested after demonstrators organized a sit-in in December 2011 at the cabinet headquarters, which ended in four days of violent clashes with the military forces. In April, Shehata sentenced 12 defendants to death and 26 to life in prison on charges of “forming an operations room to direct the Muslim Brotherhood terrorist group to defy the government” and “spreading false information”. The Muslim Brotherhood’s Supreme Guide Mohamed Badie was among those who had received death sentences. The Cairo Cassation Court accepted the appeal against rulings on 3 December. In June 2013, Shehata handed Badie and 13 other Muslim Brotherhood leaders a death sentence for the shootings that took place near Istiqamah Mosque in Giza Governorate. The Grand Mufti rejected the provision but later in August Shehata sentenced eight of the accused to life imprisonment and, in absentia, six to execution.